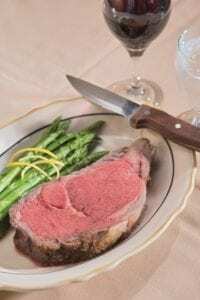 Even though every piece of beef is not going to be hand prepped with the care it would be at Williamsburg Va based restaurant Fireside Chophouse, but that is no reason to not know what makes a great steakhouse steak. While this is by no means everything (or even close), here is some information and article links to help you know you are going in the right direction. Our steakhouse blog is filled with articles that will help you know what makes a great steakhouse steak by giving you key things to consider. Check it out. First and foremost we have a number of articles in our steakhouse blog which go into great depth on these. I have put a little about some of these topics on this page below. If you want to find out more just click-over to the topics. I cannot stress this enough. I cannot think of any area where being new or inexperienced is a real liability than at a steakhouse. Great steakhouses perfect a process. When done right, a great reputation will follow. Fireside Chophouse is a Williamsburg Steakhouse that has been dazzling taste buds since the 1970s. And every tender steak testifies to this point. You will see that great steakhouses focus on making every steak a masterpiece. It is an art and science that goes into a great steakhouse. Aging is not something people look forward too. Unless of course, they are talking about beef or the perfect steak. Aging is the process of letting the natural chemicals in beef help breakdown the meats toughness. This releases flavor and helps to make the meat tender. Smoke is an essential ingredient to meat. Whether you cooking on a grill or visiting us at Fireside Chophouse, smoke is part of what helps to impart a rich flavorful aroma into meat. It probably seems a little obvious that heat is a key part of making a great steak. To a steakhouse though, heat means a couple of very specific things. One is searing steak at high temperature to lock in the juices. Two, it means using lower slower temperature to cook the inside of the steak slowly once it is seared. Just like all steakhouses are not created equal, neither are all cuts of beef. Different cuts of steak offer different quality. To offer the best you have to use cuts that offer a more tender cut of meat. While not always the cheapest, you can taste the difference. The proof is in the pudding. Maybe a better analogy is it is not the steak but the sizzle. Take it from us…it is the steak and the sizzle and the reputation follows great steak from a great Williamsburg Steakhouse. Here is a link to an article about our 5 star reviews on Trip Advisor. The term Williamsburg steakhouse or just steakhouse has a special meaning. There are restaurants that serve great steaks but it is a steakhouse that follows a number of very difficult things to make a steak taste incredible. It is not hype, it is science and quality. One of the things that part of this criteria is dry aging. I could sum up the three benefits of dry aging with this video I have added to this page. The science is very sound and simple. Dry aging is a natural chemical process that creates the steak you get at Fireside Chophouse in Williamsburg, Virginia. It is not marketing fluff or a gimmick but is a real biochemical process changing the piece of meat over a number of days. Water evaporates, concentrating flavor in the steak more intensely. Think of water as kind of a filler that is not helping the taste. Finally new flavors emerge as the beef goes through this process. I call it the steakhouse flavor, something that is not really that is easy to do. Now the cut of meat still matters. Think Ribeye, Porterhouse or T-Bone. The grade matters too since only prime beef should be aged. Then the cooking method of searing then slow cooking will guarantee that you do not lose that flavor or tenderness. Finally pairing it with the right wine is almost important. Think robust red for something this thick,rich, and complex in flavor. There are about a bazillion articles and videos touting the DIY dry aging theory. Yes you could simulate the process but it is going to be tricky but it worth the extra hassle. Come to Fireside Steakhouse and enjoy our steakhouse without having to dry age your own beef. You will taste the difference. Your sitting down with that perfect steak. Whether at our Williamsburg steakhouse or at home, you are not going to eat that steak alone. You will have certain sides and of course the right beverage. Naturally you are there to enjoy the flavor of that meat. Whether a charcoal grilled ribeye or a heavily seasoned sirloin, you want things that complement it, not detract from it. A beverage is going to follow every bite, or at least every other bite. Something with a flavor that does not jell with beef is going to taint the taste. Pairing the right beer with the right cut of steak is not rocket science, but it is important. Naturally though, it all comes down to what you like in your steak beer flavor duo. The focus should be on balancing the flavor of the steak. This in mind, there are some things to consider. Steak, especially great steak like that served here at our steakhouse in Williamsburg, is very hearty. Steak is thick and rich in flavor. The fibrous nature of steaks absorbs flavor like a sponge absorbs water. Smoke, salt, butter, oil, seasoning, and fats are all weaving a dense fabric of potent flavor. There is no light, non-filling, or dainty food here and..No wimpy beer is going to penetrate the flavor of steak. A school of thought was to go with a beer that had some bitterness. A beer with strong flavor like a porter or dark ale might be the go to beer. These darker beers help to balance out the heavily fat nature of the steak. This would be especially true in a more marbled piece of meat like a porterhouse or ribeye. Regardless it comes down to what you like. I have seen plenty of people who will order a type of beer with anything..and be happy. Another thing to consider is that the star of the steakhouse meal is STEAK. You are not going to subjugate that taste and you wouldn’t want to. It is a heavy dish with massive amounts of flavor. I constantly search for steakhouse and steak grilling recipes. Not because the ones I use aren’t delicious, it is always neat to try different methods other grill masters and chefs have used to flavor their steak. At the end of the day, whatever method you used to cook should be about flavor. Flavor with meats, steaks, and chops can come from an array of sources. We have gone over many of them in this blog. They include temperature, variations in heat during cooking, marinades, prime beef, types of beef, marbling, dry aging, and more. One area where you can also add flavor is smoke. A steakhouse generally does not depend on smoke because the cut of meat is the highest quality and the method involves locking in those juices and marbling by searing it on high heat. This is great if you have a commercial oven that can get up to a thousand degrees. Unfortunately, this may not be practical. You may find yourself at a backyard cookout, using un-aged choice burgers that come from the sirloin with little marinade or marbling. Your only allies? Your grill and the miracle of smoke, or more specifically the flavor of letting smoke seep into a steak or cut of beef. Smoke isn’t like a sauce. You cannot just dump it for instant flavor. Smoke is the byproduct of time. You have to let the smoke from the wood to slowly marinate in the food. More specifically, the smoke vapors permeate the meat. Though slow, the attention to this key detail will pay off. These give a strong flavor for something complex like steak. They are potent which is a good match for steaks, sirloins, and burgers on the grill. As a Williamsburg steakhouse we have served steak for over 50 years in Williamsburg. In this time we have learned the nuances of what makes great steak. One thing that makes a superb steak is something called marbling. Marbling is the official term for those little white streaks that you see throughout an uncooked piece of steak. Those streaks add a little bit of fat to the steak and because of that they offer two incredible benefits that help make any cut of beef or steak taste great. One of marbling’s primary benefits is that it adds moisture to your steak or prime rib. Those streaks of fat help lock in moisture. They add a coating of sorts, trapping it in the meat. This is what helps to make that steak tender and keep it from drying out. If you have ever had dry unpalatable steak there is a strong chance it was not marbled. Likewise a large number of great steaks probably have some marbling. Fat is flavor. These thin marbled streaks als0 carry flavor. Fat transmits to our taste buds very easily. So when someone says they want that unique steakhouse taste they certainly are thinking about the scrumptious effects of marbling. 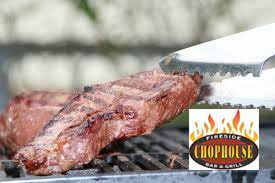 People come to the Fireside chophouse for great steak in Williamsburg Virginia They are thinking about a cut of steak that has an incredible aroma and flavor. And that comes down to a prime piece of meat that is well marbled. Marbling is an official term by the USDA. Steaks with the most marbling are considered prime which means it is the best steak you can get. Steaks with a little bit of fat or Marbling are considered choice and if there’s no marbling it’s considered select. Not to say that there’s anything wrong with a lean piece of meat, but a great steakhouse knows those little streaks of fat are critical to great taste. The government also has different degrees of marbling which can get very specific but the key is to try to make sure that you have Marbling at all. Find out why people come visit us week after week month after month in Williamsburg,Virginia. For over 50 years with serve steak that is been marbled beautifully and cooked to perfection. We also can help you pair the best craft beer or wine to balance the flavor of the meat perfectly. The Best Steak is a matter of opinion, as long as that opinion is in line with what I put as the criteria for the best steak (just kidding…maybe). To say that this steak is the best, whether here in Williamsburg, the Peninsula, or the Southside, is a little general. I mean there are seemingly endless numbers of different cuts of beef. Even in what is considered the tenderest cut of meat you can buy, you have the Porterhouse,New York Strip, Rib Eye, Filet Mignon,Delmonico, T Bone, and of course, the delectable prime rib. One of these would have to be the “best” and I cannot choose. Why choose at all. You know when you are at a great steak restaurant like Williamsburg’s Fireside Chophouse the baseline of elite steak quality has been maintained. The highest grade prime beef, aged to perfection with just the right amount of marbling awaits you. So when you pick up the menu which one of the great steaks do you pick. There is a solution. The Porterhouse is the steak lovers dream steak. The name does not always invoke the prestige of the filet mignon, or the name recognition of the New York Strip or ribeye. It sounds almost like it would be at the same level as ground chuck or sirloin with a utilitarian name like Porterhouse. But nothing could be farther from the truth. The Porterhouse combines the filet Mignon with the juicy ribeye into one mega incredible piece of beef. So with this choice you essentially have ordered three of the great signature steaks in one massive piece. That means of the seven different cuts of beef I mentioned above, you can pick three with this one choice…wow. So regardless of where you are in the selection of the best steak restaurant, you can choose about half of the best restaurant cuts of steak with this one item. So this could make a strong, though not complete, argument that the best steak restaurant choice might be the Porterhouse. The Porterhouse is a super choice and should receive top billing at any steakhouse or steak restaurant. But it is a mammoth piece of beef. You may want to be able to walk out of the restaurant without being filled to the brim. Thus the filet or ribeye might be the ideal choice. We are experts in steak. Ask us about the different cuts and we can pair you up with the right cut for your appetite. We are convinced once you try it that you will choose Fireside Chophouse as the best steak restaurant in Williamsburg, Virginia.